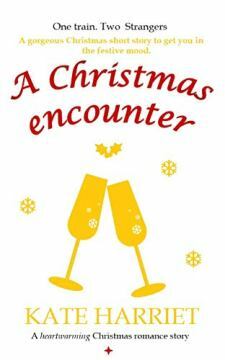 A Christmas Encounter is the perfect heartwarming short read for the festive holiday. It’s Christmas Eve and head librarian Melissa Wright is travelling on the Shepherds Valley railway’s Santa’s Special, to reconcile with her on-and-off again ex Alex. However, when she locks eyes with a handsome stranger on the platform, he threatens to throw her plans off track. As Melissa and Daniel share stories over the traditional festive trimmings and Christmas crackers in the dining car, she has a choice to make before her journey ends. Does she find romance with this new man or does she give into nostalgia and try yet again with Alex? So to get your hands on a free romantic comedy that will make you smile, or to add to your list of Christmas gifts, just click today. This story was based on a real journey on board a steam locomotive and is written for readers who enjoy a satisfying HEA or HFN. A warm, cosy read in a beautiful setting - with just a splash of romance thrown in.